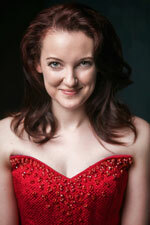 Winner of the Loveday Song Prize at the 2014 Kathleen Ferrier Awards, Jennifer France graduated from the Opera Course at the Royal Academy of Music, where she won many prizes, including the prestigious Patrons’ Award that resulted in her solo recital debut at Wigmore Hall, and was awarded the Principal’s Prize at graduation in 2013 for exceptional all-round studentship. Her engagements have included performances with Classical Opera, Garsington Opera at Wormsley, Glyndebourne On Tour, Opera Holland Park, Opera North and Scottish Opera (where she was an Emerging Artist), as well as at the Badisches Staatstheater Karlsruhe, the Staatsoper Wiesbaden and the Nederlandse Reisopera. Her repertoire includes Marzelline in Fidelio, Ophelia in Brett Dean’s Hamlet, The Controller in Jonathan Dove’s Flight, the title role in Semele, Susanna in Le nozze di Figaro, Lauretta in Gianni Schicchi, La Comtesse Adèle in Le Comte Ory and Zerbinetta in Ariadne auf Naxos. She sings regularly in concert, including engagements at the Three Choirs Festival and with Birmingham Contemporary Music Group, the Hallé, the London Handel Orchestra, La Nuova Musica, the Royal Scottish National Orchestra, the Orchestre de Chambre de Paris and the Israel Camerata.